The qualities associated with F. Scott Fitzgerald’s brand of literary celebrity—youth, intoxication, romance, tragedy—are as saleable as ever, nearly one hundred years later. Yet Fitzgerald himself died indebted and desperate in 1940, the victim of a disease that smart people were beginning to call alcoholism. Ernest Hemingway famously blamed Fitzgerald’s alcohol abuse on his wife, Zelda; later, in a letters to Zelda’s psychiatrists and family members, Scott Fitzgerald seemed to agree. The literary scholar Julie M. Irwin argued that Fitzgerald’s alcohol abuse could not be blamed, as many of his biographers claimed, on external circumstances like his finances or marital problems. Instead, she argued, Fitzgerald “drank through” all of his “successes and failures” for one simple reason: he was an alcoholic. Irwin showed how Fitzgerald’s biography, articulated in the partially disguised protagonists of his short stories, followed the classic, progressive disease model of alcoholism. The end stage is social alienation, destitution, organ failure, and, finally, death. Scott Fitzgerald died a “washed up author at the age of forty four.” His “debt to friends, publishers, and agents” was further evidence of the late stage of his alcoholic trajectory. 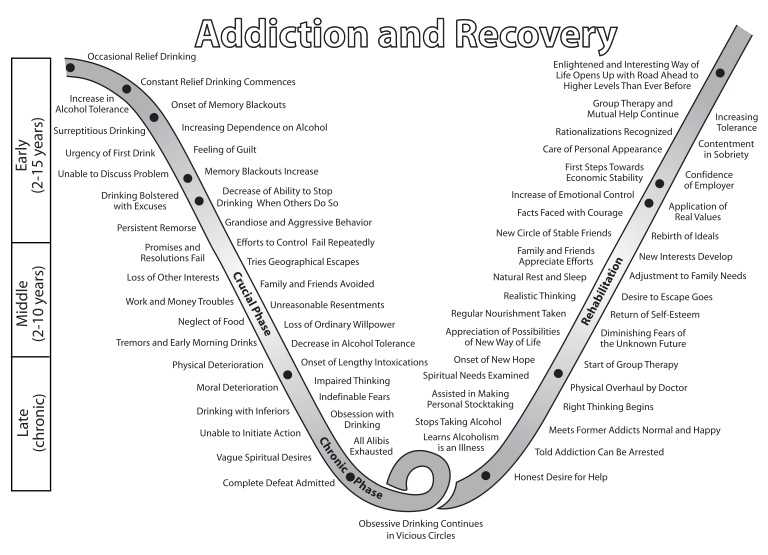 An adapted version of Jellinek’s curve, showing the progression of alcoholism. Fitzgerald never escaped the loop. In a recent analysis of Fitzgerald’s finances, William J. Quirk argued against the popular idea that the author was a “careless spendthrift” who lost his earnings to luxury items and liquor. Quirk had access to Fitzgerald’s tax returns, which you’d have to visit an archive to review. 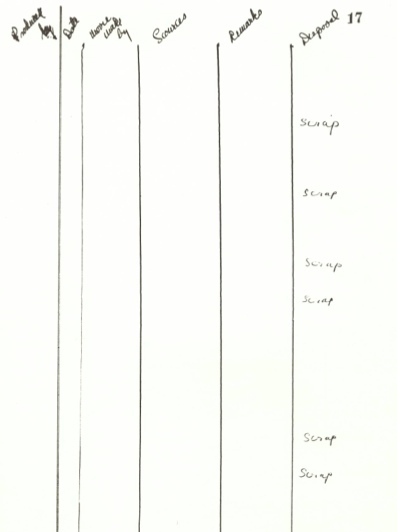 But Fitzgerald also kept a more accessible financial ledger that meticulously charted his literary output. Together, Quirk pointed out, the documents display high earnings and a conscientious attitude toward money matters, even during the years when Fitzgerald was under extreme emotional duress. Yet Quirk scarcely mentioned the role that Fitzgerald’s growing alcohol dependence played in his financial fortunes, concluding instead that because of Zelda’s “doctor and sanatorium bills, [Fitzgerald] lost hope of controlling his finances.” Quirk’s close reading of Fitzgerald’s attempt at careful budgeting focuses on the years before Zelda’s major breakdown and hospitalization, which occurred in 1930. Quirk makes several excuses for Fitzgerald’s honest failure to manage money during his career’s high period. Throughout the 1920s, Quirk writes, “Fitzgerald’s cash flow was so erratic—large hits followed by dry periods—that it was not conducive to prudent budgeting.” But the flow was erratic, in part, because Fitzgerald’s work patterns were influenced by his attempts to manage his alcoholism. Fitzgerald relied on his short stories to remain solvent: “Fitzgerald wrote short stories to pay off debts, not to get ahead,” wrote biographer Matthew J. Bruccoli in his introduction to the Ledger. Fitzgerald wrote more than 160 stories, which he published mainly in popular magazines such as The Smart Set and The Saturday Evening Post. By the mid-1920s, Fitzgerald was earning $3,000 (or $38,862 in today’s dollars, according to the West Egg inflation calculator) for a single story. Though Bruccoli argued that Fitzgerald “did not earn fortunes” by contemporary standards, Quirk found that Fitzgerald’s tax returns consistently placed him in the top 1% of wage earners in his time. The best stories paid dividends when Fitzgerald was able to republish them in short story collections or sell the rights for movie adaptations. His last series of stories, about the heavy-drinking, anti-hero screenwriter Pat Hobby, do not appear in his ledger at all. Bruccoli hypothesized that Fitzgerald gave up on his literary pretensions when he moved to Hollywood, more or less permanently, to work as a screenwriter in 1937. He offered one Hobby story to an editor in 1940. “The enclosed story is so short you can have it for $200,” wrote Fitzgerald, “but I wish you would wire the money.” The editor rejected the story. Literary critics mostly agreed with Fitzgerald’s apparent disappointment in much of his later work. John W. Crowley argued that although Fitzgerald’s later work dealt more explicitly with alcoholic characters and subjects, his ambivalence and denial about his own condition colored his depictions. Fitzgerald’s protagonists became as unbelievable as his erratic self-assessments of his alcohol use. As a result of this use, Fitzgerald’s earning power was undeniably decreasing in the years before his death. But: for at least a decade before his precipitous decline, Fitzgerald had managed enough cold-knuckled magazine writing enough to keep up with his debts. His abandonment of the ledger, which charted a career’s worth of fictions and finances, suggests that Fitzgerald may have lost faith in the literary value of his work before he began to seriously struggle with his ability to generate income from it. In the last year listed in the Ledger—the one full of “scrap”—Fitzgerald still managed to earn $10,180 (or $166, 466 in today’s dollars). The field of alcohol studies has historically grappled with the association between alcohol abuse and downward economic and social mobility. Fitzgerald, of course, is just one man; making generalizations about alcoholism based on his experience is scientifically shaky. Even as a single case study, Fitzgerald is problematic. Today, he’s widely regarded as a literary icon and visionary, despite the unfortunate circumstances of his death. Although his alcoholism is textbook, Fitzgerald’s remarkable talent might inspire the interpretation that his story has few lessons to offer less exceptional sufferers. On the contrary, I think Fitzgerald’s ledger demonstrates the life-saving role of meaningful work. We can cast doubt on Fitzgerald’s reasons for keeping such careful track of his literary output—his motives may have been snobbishly aspirational, purely pecuniary, or a bit of both. Although Fitzgerald’s critics and publics have focused on his tragic demise, it seems likely that—in the absence of effective treatment— Fitzgerald’s devotion to his craft helped prolong his life. 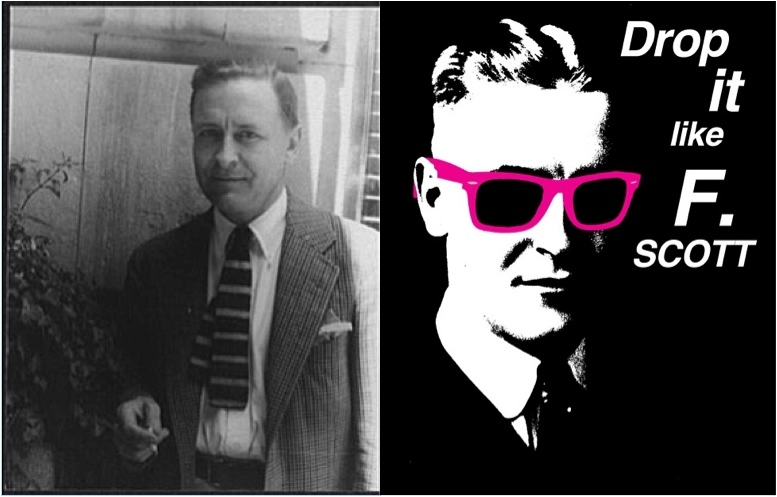 Writing necessitated dry spells; publishing offered a kind of support system (however flawed) of editors, critics, and colleagues who kept Fitzgerald afloat for many years. Scott Fitzgerald’s Ledger is instructive for addiction historians or contemporary treatment providers because it reveals—years before the advent of Industrial Alcoholism or Employee Assistance Programs—the role that meaningful labor can play in mitigating the damages associated with alcoholism, especially economic and social decline. This analysis is overly simplistic. An either/or answer doesn’t exist. “Alcoholism”, whatever it may be, is not a simple, single-cause disorder like smallpoxor Huntington’s. It springs form, and is aggravated by a complex of interactive factors. Did Fitzgerald’s compulsive alcohol use contribute to his professional, financial, and personal problems? Did F.’s problems contribute to his over-use of alcohol? Was either “the” cause of the other? No. Many interactive elements contributed to both. The goal of both scientists and historians should be to tease out all of the contributing factors and measure their interactions, not to assign blame to a single “the cause”. Thanks for your comment, Buford. The multifaceted nature of Fitzgerald’s alcohol problems is surely one of the reasons that so many people still enjoy puzzling over various pieces of his biography. Of course the point here wasn’t to run a regression analysis, but to survey several arguments about Fitzgerald’s alcohol use from the field of literary studies, show a few cool primary sources to a general audience, and–finally– to offer a tentative interpretation regarding the significance of one variable in particular: meaningful work. Much appreciation for the intriguing details on a favorite subject. I did become a bit confused when I saw the Jellinek curve. Is it only Irwin and possibly Crowley who regard that model as authoritative, or yourself as well? Would Fitzgerald really have been in better shape if he had turned the curve and learned about “right thinking”? Do you see any congruence between that curve, the quirky research behind it, and the excesses of the therapeutic community movement? These are great questions! On Jellinek’s curve: I’m not sure what you mean by ‘authoritative,’ but I definitely don’t think that his alcoholism paradigm is generalizable very far beyond a self-selecting population of AA members. For twelve-steppers who choose to frame their life stories in terms of ‘what they used to be like, what happened, and what they’re like now,’ it probably still rings true. Fitzgerald? I can’t say whether that story arc would have appealed to him, or whether he would have been better off if he’d wandered into an AA group on the Warner Brothers’ lot (there was one, just a few years after his death). From what I’ve read, it seemed like he wanted to be able to moderate his drinking and genuinely suffered because he was unable to do so. I do think two of the best tools he had at his disposal– his professional motivation and his support network of colleagues– allowed him to cope for several years, and we shouldn’t overlook how critical they are in helping people manage or alter behavior. I’m still working through the relationship between TCs and AA as part of a much larger project, so I’ll have to refrain from answering that one for now. Thanks for your comment!